Is the memory market headed for war? Seagate CEO Bill Watkins has made good on his threat to sue solid-state drive (SSD) manufacturers if he ever felt they threatened the Seagate-dominated HDD industry. Earlier in the week Seagate filed suit against memory-tech firm STEC claiming the memory technology company had infringed four of Seagate’s IP patents relating to its SSDs, memory-backup systems, and self-testing systems. Watkins said that the company had filed the suit because "we believe they [STEC] are relying on intellectual property developed or acquired by Seagate." 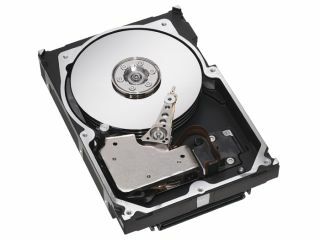 In response to charges that Seagate’s action was essentially an attempt to retain a stranglehold on the market by throttling the competition, Watkins remained adamant that the suit was a purely a matter of protecting Seagate’s IP. "This is not about stifling innovation or threats to our business ... We have an obligation to our company and our shareholders to protect what belongs to them," Watkins said. In response STEC has claimed that Seagate never opened any dialogue prior to issuing the writ, and said that it believes that its SSD technology predates that of the Seagate patents allegedly infringed. "STEC believes it held such technology including prior patents, dating more than a decade prior to any of Seagate's patents," a STEC company spokesperson said. Commentators note that regardless of Seagate’s action, the company is ultimately powerless to prevent SSD technology from making inroads into the HDD market. While SSD currently lags a very long way behind HDD in terms of cost-per-gigabyte of storage, it won’t always be so. Once SSD can get the price down to a level that competes directly with HDD then consumers are going to opt in ever greater numbers for the increased speed and greater reliability of SSD technology. It won’t happen overnight say analysts, but it will happen. Another interesting thing to note is how Seagate has chosen to go after a relatively small player. This kind of begs the question as to whether Seagate will ever have the strength of conviction to go after larger SSD fish, namely Intel and Samsung? Only time will tell.